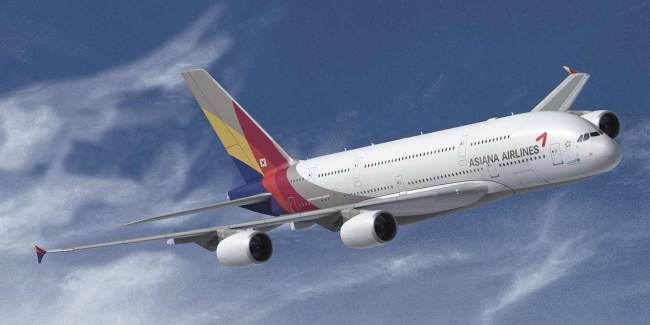 South Korean full-service carrier Asiana Airlines saw its operating profit drop more than 14 percent despite record-high sales of 1.8 trillion won ($1.6 billion) in the third quarter of this year. The company said it recorded 101 billion won in operating profit, a 14 percent decrease from a year ago, and 47.8 billion won in net profit in the third quarter. The company’s low-cost carrier Air Seoul recorded 59 billion won in sales and 36 billion won in operating profit, up 33.3 billion won and 10.5 billion won on-year, respectively. “In the fourth quarter, we will make efforts to attract inbound Chinese tourists and put flight routes to China on track, as well as to boost newly opened routes to Venice in Italy and Barcelona in Spain,” said an Asiana Airlines official. Last year, air carriers here saw up to 600 flights to South Korea removed by Chinese airlines amid a political stand-off between the two countries.